Amazon is expanding its R&D operations in Cambridge, U.K., with a plan to staff out a large research lab — expanding on the foothold it acquired when it bought Cambridge-based speech tech startup Evi Technologies two years ago, TechCrunch has learned. Cambridge is feted for its world-class university which, in turn, acts as a hub for concentrating science and technology talent, naturally leading to many startups spinning out from it. Amazon is evidently hoping to grab itself a larger slice of this local talent. A source familiar with the company’s plans told TechCrunch it will focus on Prime Air, its autonomous delivery drones project, and on beefing up its speech tech R&D team. The e-commerce giant has been staffing up for Prime Air over the summer, including seeking hires in Cambridge. It has continued advertising for Prime Air positions in the U.K. university town this fall, including a Flight Operations Engineer role posted this month, a Site Leader role posted in October and a Senior Research Scientist role posted in September. The latter asks for “experience applying machine learning approaches to complex problems,” among other skills. Amazon’s expanded Cambridge presence will also see it tool up its speech group significantly, tapping Cambridge’s pull and talent pool here too. Job roles Amazon is currently hiring for under an Evi Technologies Limited company listing include a Quality Assurance Engineer, a Senior Technical Program Manager and various software developer roles. Why speech tech? 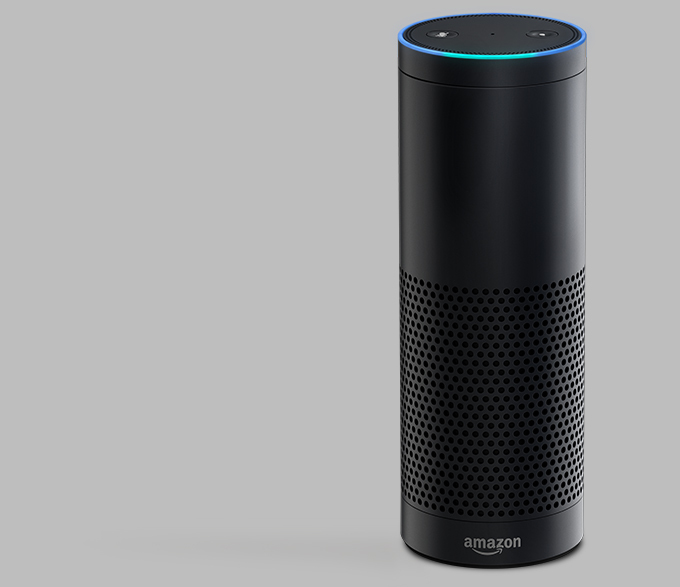 Earlier this month, Amazon unboxed Echo: a connected speaker with an always-on, voice-activated assistant linked to other Amazon services, such as streaming music playback. So it’s not a huge leap to see Amazon pushing Echo into a fully fledged voice-activated shopping portal, with making a purchase made as frictionless as saying “order me Taylor Swift 1989” — assuming the voice-recognition technology in question is up to snuff. Hence Amazon ramping up its R&D in speech recognition. Other possible research areas that could play to Amazon’s retail interests, and that have existing researchers and startup players located in Cambridge, include computer vision technology and augmented reality — technologies that offer to spice up the online buying experience in other ways. Amazon is not the only tech giant that’s been connected to Cambridge recently. Earlier this week Apple was linked with the city, with rumors suggesting the company might be looking to establish an office there, possibly with an R&D component. Google has also previously been rumored to be interested in setting up a base in the city, although TechCrunch’s source suggested Mountain View’s interest in Cambridge may have waned for now. Other tech giants already have long established R&D labs in the city, including Nokia and Microsoft. We’ve asked Amazon for more details on its plans for its expanded Cambridge research lab and will update this post with any response. Currently the company lists U.K. development centers in London and Edinburgh, working on digital media R&D and new technologies for its global websites, respectively.